If you’re looking to purchase a home in Boston, the real estate portal known as allstonpads.com teams up with the most local real estate experts to guide you through the Allston market and help you find the perfect spot for you. Allston is a thriving neighborhood in Boston perfect for purchasing property—an established market with proven value and staying power. With quaint streets and a buzzing main thoroughfare dotted with restaurants and businesses, Allston is a multifaceted area with a broad range of options for many different tastes. On top of it all, it boasts a convenient selection of commuting options, whether you need the MBTA’s green line B branch or one of the several local bus lines. Purchasing a home of your very own is an exciting chapter to embark upon, filled with many options and difficult decisions. Having a trusted real estate portal as an ally is a crucial part of your journey. Allston Pads has an extraordinary selection of Allston real estate in a variety of sizes and price points, including listings that may not have been placed on MLS yet because some owners prefer a discrete sale. You have the option of narrowing down your search by getting a better understanding of the building amenities, number of bedrooms, property type, and budget that you’re most interested in. Then it’s time to visit the options to get a firsthand feeling for each space. Your real estate database will be your guide as you explore the neighborhood offerings and atmosphere. The Allston Pads portal has what it takes to make your Allston real estate buying process productive, efficient, and pleasant. Start your journey to homeownership today with a diverse and comprehensive real estate database that will help you discover a place you’ll love in Boston’s Allston neighborhood. 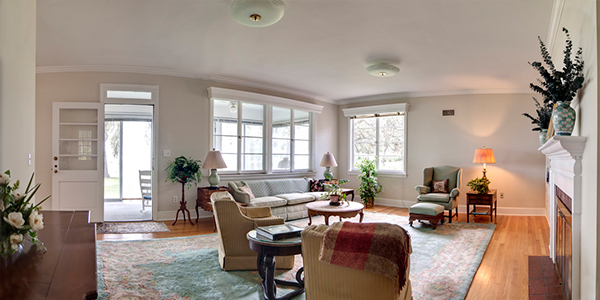 Visit allstonpads.com and start your search for the perfect home today! When you start the process of purchasing property in Allston, it is important to keep in touch with your Allston real estate agent to make sure that both parties are on the same page. Your Allston real estate agent takes your needs and goals during the purchase and turns them into reality. But your Allston real estate broker’s work does not end with simply showing you property in the Allston area. Your Allston real estate agent puts together a plan that considers your overall financial situation in relation to the typical mortgage process, and shows how these factors will impact your potential purchase. Working with a Allston real estate agent also allows you to utilize their connections to lenders in Allston to help plan the best purchase timeline for your Allston property. Your Allston real estate agents are there to help make your purchasing dreams come true. You can start browsing Allston properties for your new purchase through the listings databases below! Once you have assessed your financial situation and decided to buy property in Allston, you can start the fun part of the process: shopping. The process is not always easy, and you may look at many Allston properties before finding the right one. Viewing individual properties in Allston can be time consuming and require a good deal of commitment. Viewing several potential Allston properties at multiple showings is the best and most exciting way to find the right property for you. Your Allston broker is a great asset during the search process, helping to guide you through the process so that you have all the information you need. There is no timeframe for how long it takes to find the right Allston property for you, so the best thing you can do is make sure you are consistent in your property needs until you find the place that fits your requirements and desires. Your Allston real estate agent should be used as a contact point for continued communication and follow ups whenever necessary. A strong relationship with your Allston real estate agent can be immensely beneficial to you as a new homeowner. They can help answer any of your questions, provide you with real estate information on the Allston area, and recommend you to local Allston services, like contractual work, interior design, plumbing, electrical work, snow removal, and more. As a property owner in Allston, the real estate agenty you find on Allston Pads will be a lasting, valuable resource. To speed up your Allston property search, you can automatically receive personal listings of Allston properties by email. We compare your criteria against new Allston listings daily, so you will always be up to date on Allston listings.